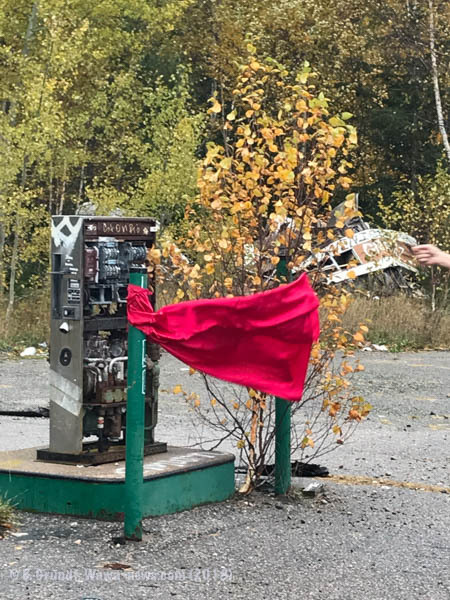 A Red Dress was hanging at the abandoned and burnt out shell of what was once a gas station, restaurant, and residence. These photos were taken on October 9th. The RCMP report “Missing and Murdered Aboriginal Women: A National Operational Overview” brought to the public eye the sobering fact that a total of 1,181 people — 164 missing Indigenous women and 1,017 Indigenous female homicide victims between 1980 and 2012 had been recognized. An update in 2015, entitled Missing and Murdered Aboriginal Women: 2015 Update to the National Operational Overview, named an additional 11 Indigenous women identified as missing. There have been many ways that organizations have tried to keep the memoris and remembrances of these women alive, and bring attention to the ongoing disappearances. February 14 – The Annual Women’s Memorial March, ” Their Spirits Live Within Us”, has taken place every 14 February since the early 1990s. October 4 – Sisters in Spirit Vigils that bring awareness and honour the families of missing and murdered Indigenous women and girls. The day is meant to be non-political, a day of remembrance for families and all who mourn stolen sisters, aunts, partners, mothers, daughters and friends. Walking with Our Sisters Campaign – 1,763+ pairs of moccasin vamps (tops) and 108 pairs of children’s vamps. Each pair of vamps represents one missing or murdered Indigenous woman. The unfinished moccasins represent the unfinished lives of the women whose lives were cut short. The children’s vamps are dedicated to children who never returned home from residential schools. The Walking With Our Sisters’ 5th exhibit took place at Algoma University (the old Shingwauk Residential School building) in Sault Ste. Marie from May 5 to 18, 2014. Faceless Dolls Project is another visual representation of these missing women. The dolls are faceless because they are missing or murdered – victims of crime. who are missing or have been murdered are victims, devalued by society. Wawa-news suspects that the dress may have been hung for October 4th. 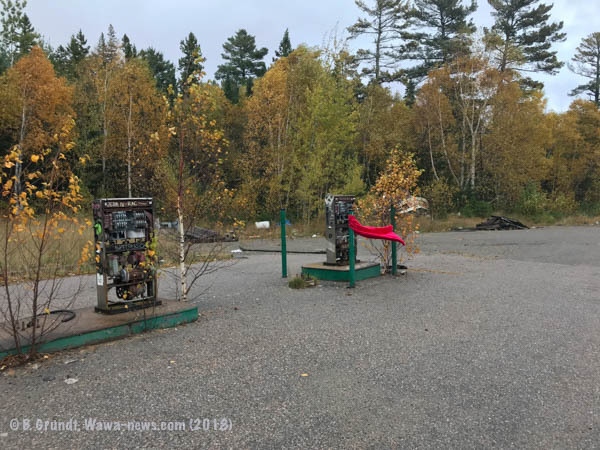 On October 14th – the dress was gone; much like the women, it represented.